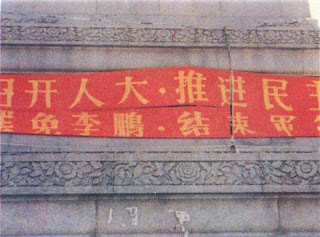 Banners on the Monument of People's Heroes spell out demands of the movement. 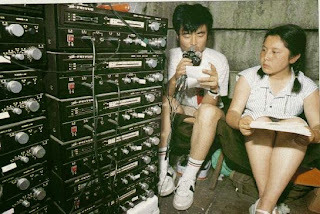 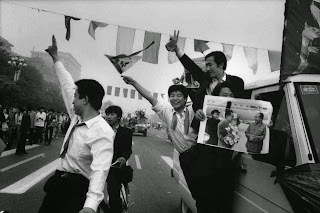 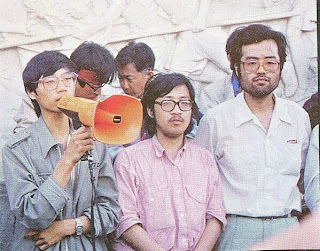 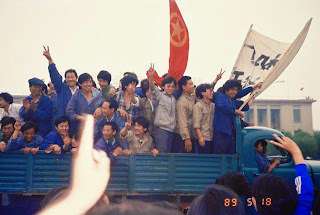 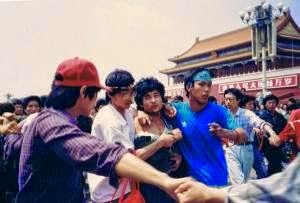 Wang Dan (left) announces the new Headquarters for Defending Tiananmen, with him is Lao Mu (center) and Liu Suli (right). 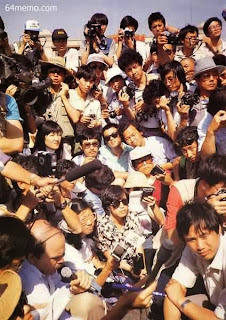 Reporters gather for the press conference. 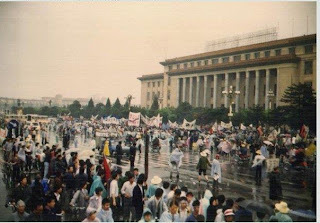 Student broadcast center at Tiananmen Square. 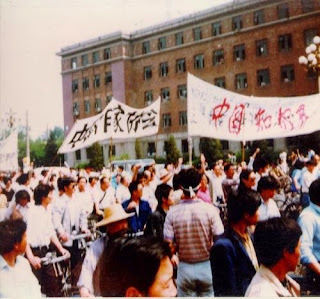 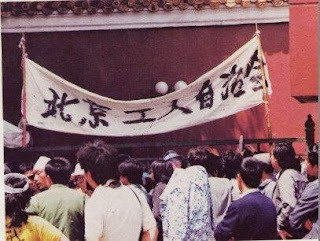 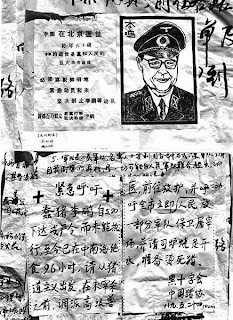 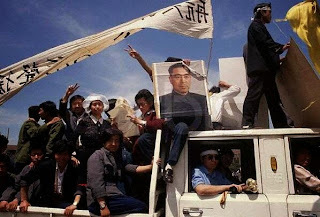 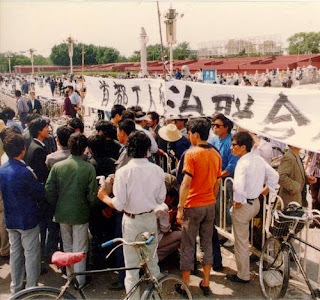 Posters denouncing Li Peng at Peking University. 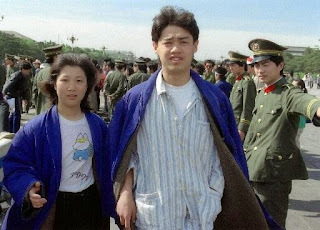 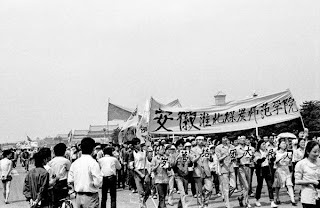 Students from Anhui province arrive and march in Beijing. 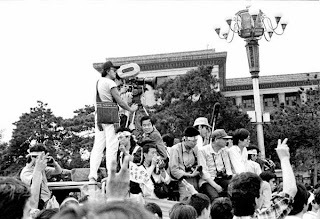 Students from Beijing Film Academy shoot footage of demonstration. 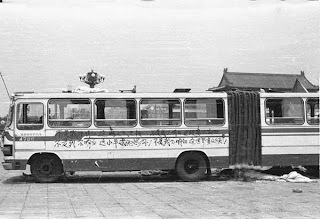 Slogans on a pubic bus. 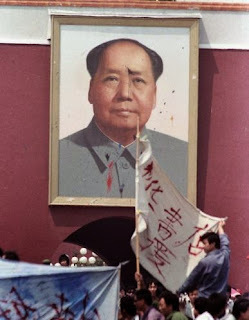 Mao's portrait on Tiananmen is defaced. 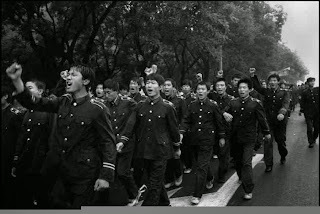 The perpetrators are detained by students and handed to police. 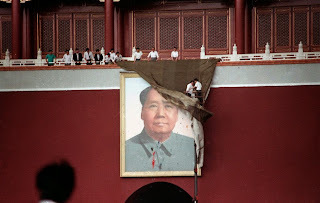 Workers are covering up the defaced portrait. 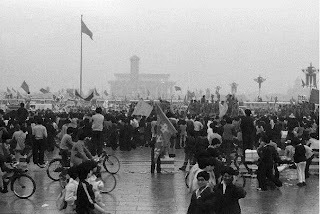 Tiananmen with Mao's portrait covered. 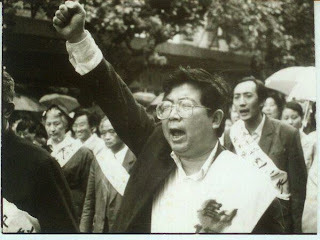 Playwright Sha Yexin joins demonstration in Shanghai. 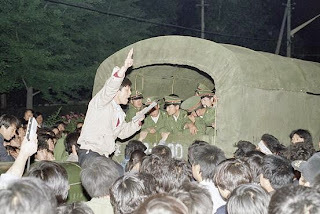 Residents and students block martial law troops. 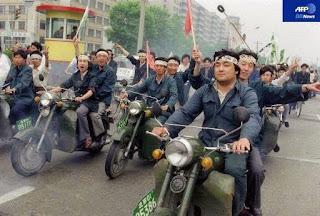 Beijing residents motorcycle gang "Flying Tigers" serve as recon and communication unit. 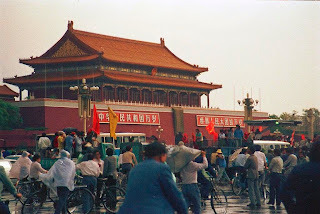 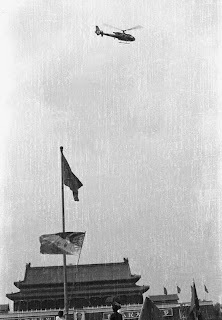 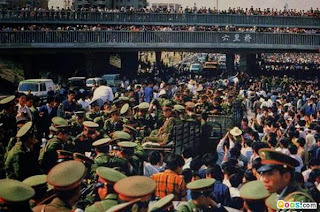 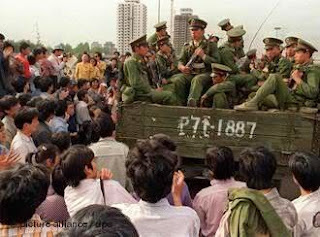 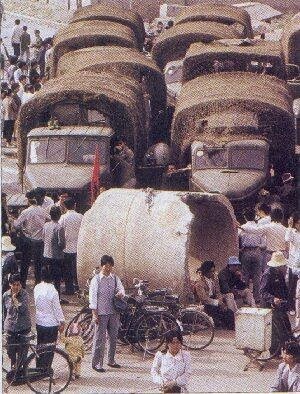 With troops blocked, only helicopters show up at Tiananmen Square. 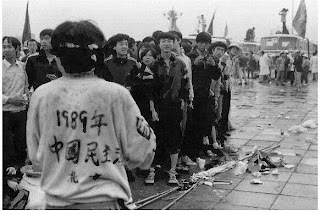 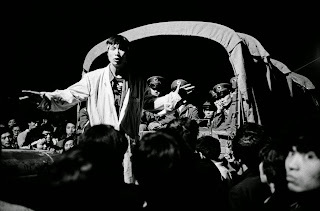 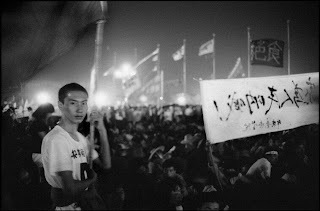 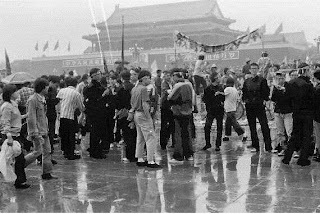 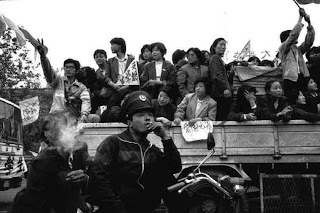 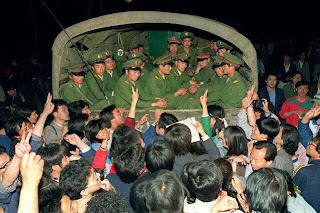 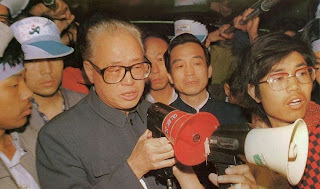 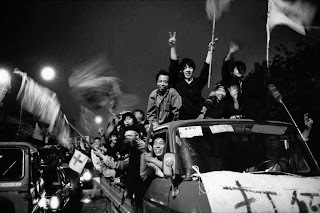 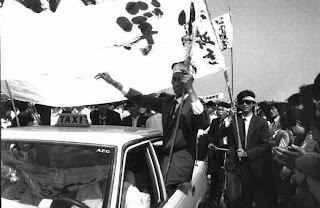 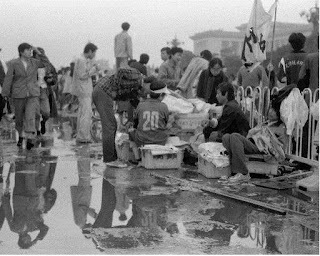 Zhao Ziyang appears at Tiananmen Square and speaks to students in the early morning. 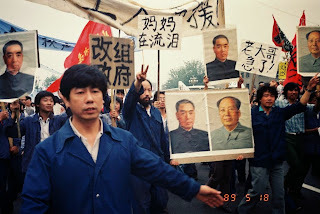 On the right is Wen Jiabao. 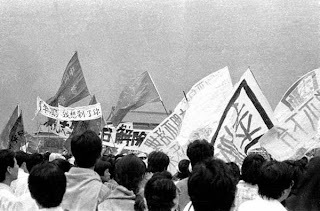 In the afternoon, students announce the end of hunger strike. 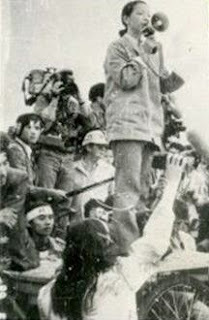 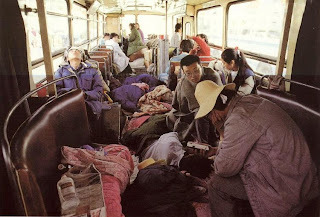 Students after the end of hunger strike. 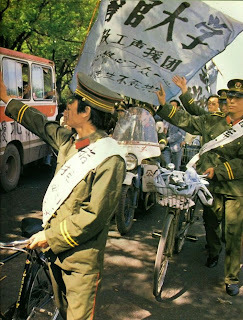 The Workers Autonomous Federation makes more prominent appearance. 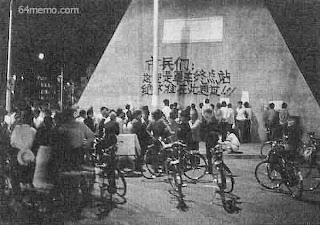 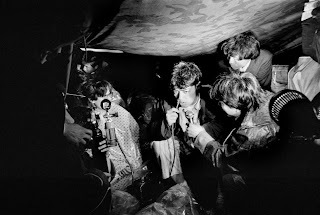 At night, the meeting that announces the martial law. 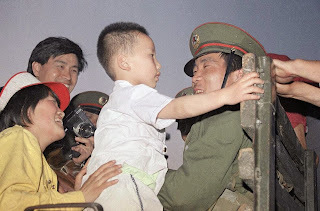 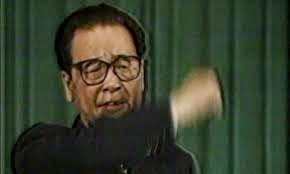 Li Peng announces martial law. 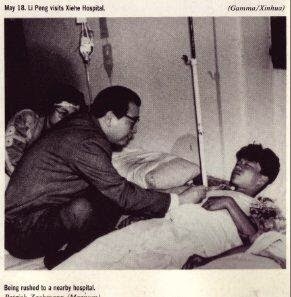 Li Peng visits hunger strikers in hospital. 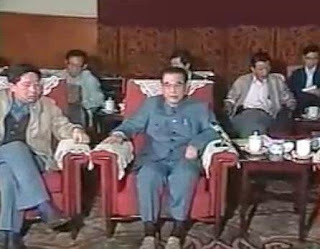 Premier Li Peng at the meeting. 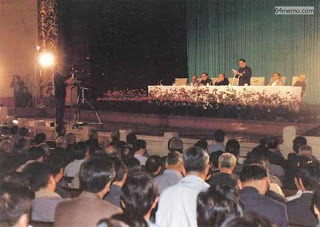 Wang Dan (left) and Wuer Kaixi (right) at the meeting. 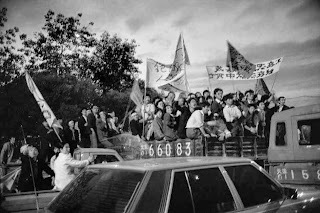 Wuer Kaixi (center) talks to reporters after the meeting. 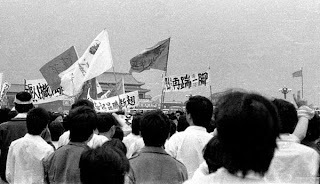 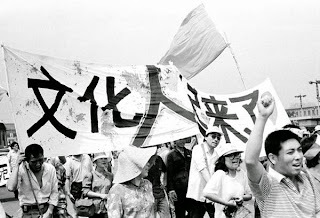 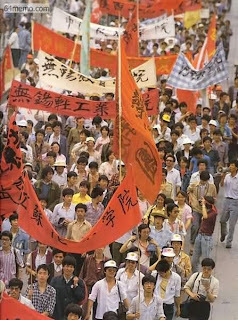 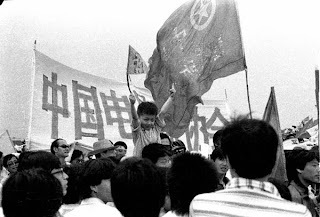 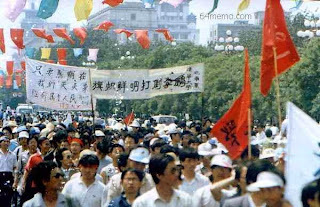 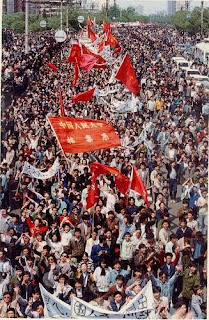 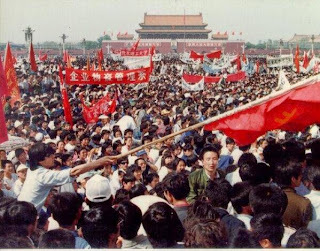 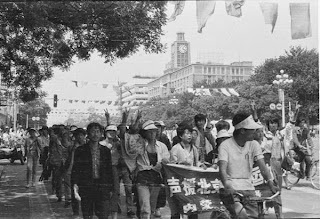 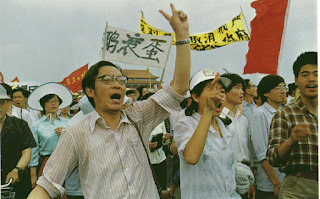 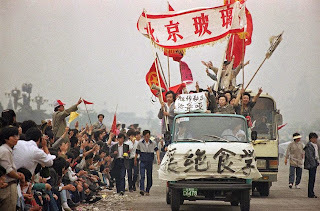 Continued demonstration at Tiananmen Square. 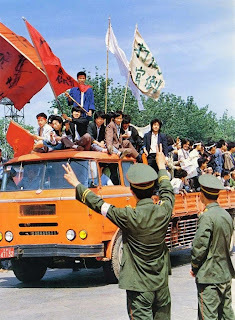 Workers Autonomous Federation makes its first appearance.